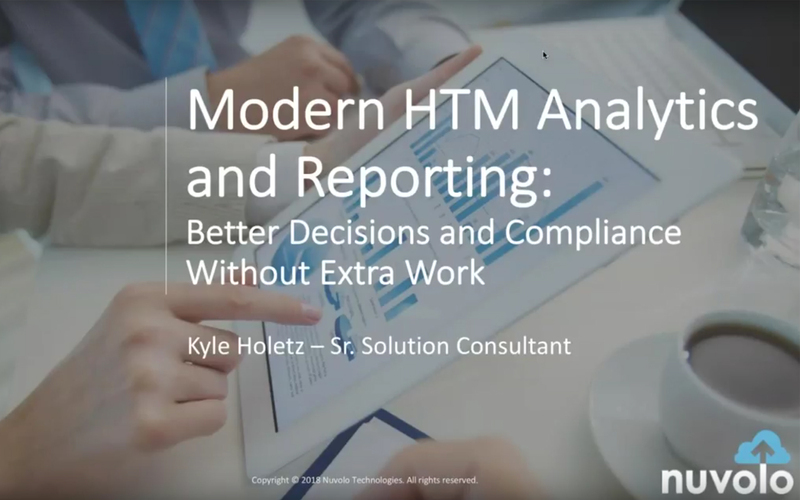 The recent Nuvolo-sponsored webinar “Modern HTM Analytics and Reporting – Better Decisions and Compliance Without Extra Work” presented by Kyle Holetz was well received by attendees. Those who attended the webinar were also eligible to receive 1 CE credit from the ACI! In the webinar, Holetz, a senior solution consultant at Nuvolo, showed attendees the value in controlling the way users interact with entering data within the system and the value that can bring to reporting and analytics in various areas like EOC reporting, competency, PM completion, AEM documentation and capital planning. Attendees were able to learn how a modern CMMS allows for a shift in thought and process when it comes to reporting and analytics. They also discovered how a customer-defined data model collects the information you need at the point of service without extra work. A new way of handling regulatory reporting native in the platform was also discussed. Attendees found the webinar to be a great educational value and shared their comments in a post-webinar survey. “I found that the webinar was very informative, learning about Nuvolo, modern enterprise asset management. There were a lot of features, that I felt were useful, such as projecting a team to work more efficiently by looking at the need for cross training, and keeping the time on a job that was completed. Also looking into equipment that needs to be retired due to expenses,” said D. Phillips, Biomedical Technician. “Great Presentation. Well spoken and informative. It is always good to know about a program that can do what your current program cannot and keep feeding that information to administration – especially on the cost-savings front,” said B. Judah, Biomedical Technician. “I loved the Nuvolo presentation. It seems like a very user friendly CMMS, and packed with so many useful data tools. If I was responsible for managing our CMMS I would choose Nuvolo instead of MediMizer,” said A. Unsworth, BMET. “Today’s Webinar Wednesday session opened my eyes to many reporting and analytic opportunities through a robust CMMS platform,” said M. Dowd, HTM Unit Head. “This was the best webinar and most relevant for me right now. 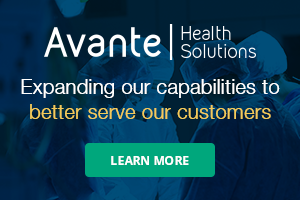 Although we are beginning new CMS with another company, the reporting examples were a tremendous help to incorporate in our new CMS,” said M. Pritchett, Biomedical Technician. The webinar series also continues to receive rave reviews. “Webinar Wednesday is a great way to be exposed to new companies and new technology,” said M. Romano, Clinical Engineering Technician. “Webinar Wednesday does not simply promote products, its opens up new opportunities to know more and have a continuing education,” said J. Soriano, Biomedical Engineer. “Again, this has been a good experience allowing biomeds the ability to learn what is out there in-depth without having to be off-site. I am signing up for the next one today,” said T. McKenna, Biomedical Supervisor. For more information, including calendar of upcoming webinars, visit WebinarWednesday.Live. Modern HTM Analytics and Reporting – Better Decisions and Compliance Without Extra Work!